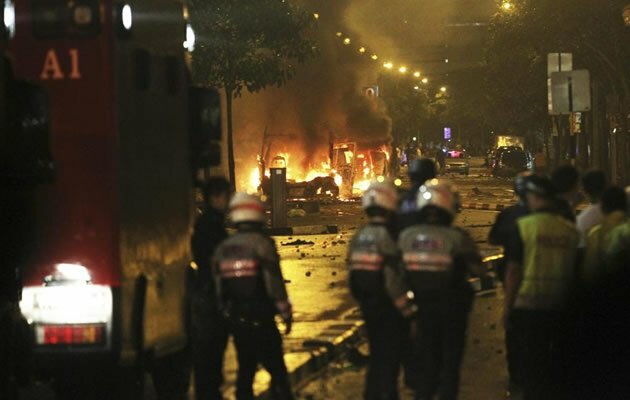 A riot occurred in Singapore’s Little India on December 8, which saw police cars toppled and set alight. It was sparked by a fatal bus accident which left one dead. A total of 39 officers – 22 from the police, 12 from the Singapore Civil Defence Force and five auxiliary – suffered injuries and lacerations, said the police. They have all been discharged from hospital. In total, 25 emergency vehicles had been damaged, including 16 police cars, of which five had been set ablaze.